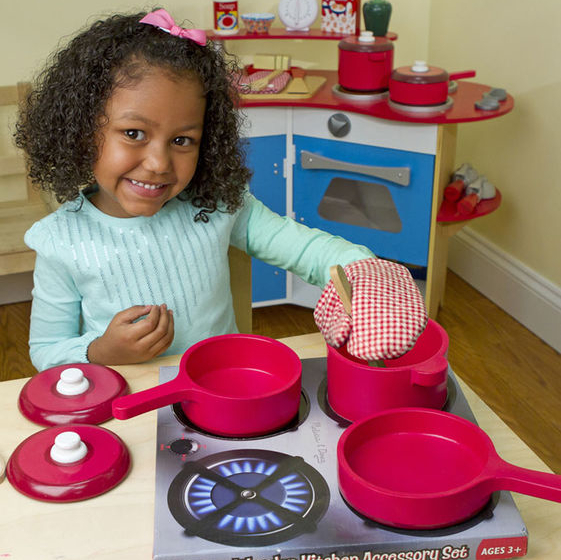 Get ready to cook up something yummy! 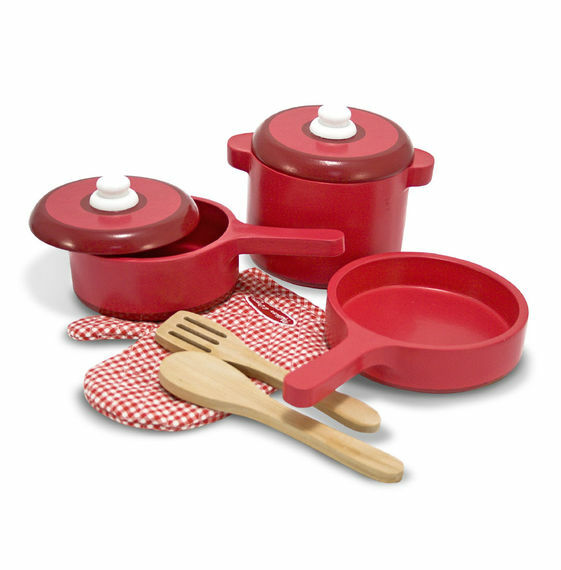 This 8-piece wooden cook’s set comes with play kitchen pots, pans, and other accessories–everything you need to equip a serious chef’s kitchen! Get ready to cook up something yummy! This 8-piece wooden cook’s set comes with play kitchen pots, pans, and other accessories–everything you need to equip a serious chef’s kitchen! 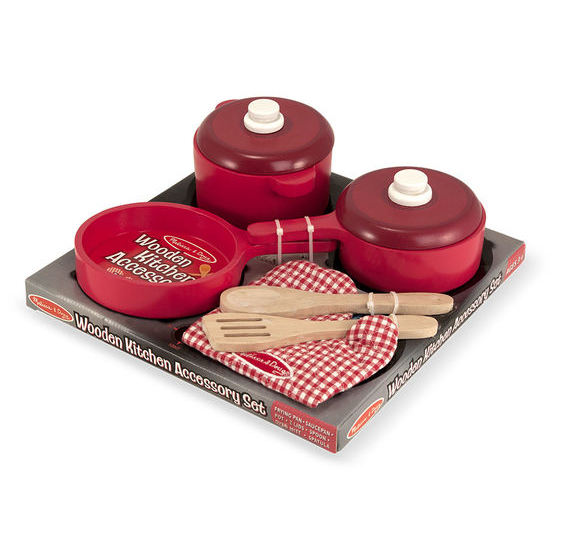 The set includes a frying pan, stockpot, and saucepan with lids, plus a spoon, slotted spatula, and oven mitt.